I can't believe how quick this year has gone. But it is time for me to do my 2012 favorites! This is obviously my opinion and you may agree or disagree. These are my 12 faves of 2012! Body Shop Vineyard Peach Body Butter! If I could I would buy everything from The Body Shop! But this year my favorite body butter has been the Peach one because it smells amazing! Honestly it is not a smell which really goes with each season, but I don't really mind because it smells so great. If your have a Body Shop near you go and smell it! Smell all of them because there isn't one which I don't like. They are all so moisturizing and keep their moisture for hours! This year has been quite cold so it has been drying my skin out and this has been keeping it nice and moisturized! For £13 or £6.50 at the moment it is amazing! I have been loving benefit dandelion this year as it gives a tiny bit of colour but it gives a beautiful sheen and it really does make you look awake! I use this near enough every day and this is the old packaging so you can tell how long it lasts! It is £23.50 which I know is expensive but it lasts ages and is one of the best blushes I have used in ages! Lush Bubblegum Lip Scrub is a must have whatever the year! It smells amazing and tastes GREAT! 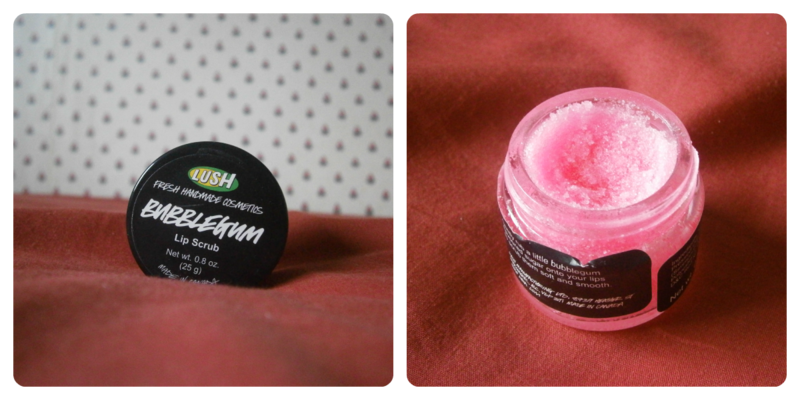 But I love it because it makes your lips amazing and soft and all prepped for whatever you put on your lips! It is £5.25 which is I suppose is quite a good and it lasts quite well and yeah I would totally recommend it! So because it has been quite a cold year my hands have been suffering a lot they were getting dry until this badboy! Soap and glory are amazing because it moisturized my hands and made them smell lovely! This is a mini but you can get a large size, the mini is £2.50 and the large one is £5, which are both relatively cheap and a little goes a long way. It smells amazing and this is probably about my 6th bottle and most of them have been the large ones. So this is Lancome Bi-Facil which is a cleanser which has some oil in. This is amazing and I only started using it this year and my face hasn't been as dry. I put it on at night to let it sink in over night so by the morning my face is soft and great for putting makeup on as it will go on smoothly. This is £21 which is expensive but last ages! This moisturizer is amazing and a life saver whenever I have had bad skin like dry skin this just saves the life out of it. It is really cheap and lasts ages. It is a light moisturizer and would be good for any skin types. It's on £3.79 which is a complete bargain! Rimmel London Stay Matte is just amazing. I was using the Natural Collection but then I used this and it gives a great coverage for a powder which lasts ages and is relatively cheap. For £3.99 it last ages and sets your makeup for the day. There is quite a colour variation which goes well over foundation or just on its own. Again a little goes along way and this has lasted me just over 12 months and I still haven't hit pan. The MUA eye shadow palette in Heaven and Earth is amazing if you are just getting into make-up because the variation of colours means you can do most anything with your eye shadow and make it look professional. It is only £4 and you get 12 highly pigmented eye shadows which aren't to chalky. So this is going for all the Body Shop Born Lippy lip balms. I love all of them because they all smell so nice and sweet! They are the most moisturising but it does make the feel really nice after. They are great to carry around because they are really small. They are normally £4 but in a sale they are £2. So only this year have I started wearing eyeshadow, this is amazing. Some people say you don't need a primer but I disagree as you need to make sure it says. 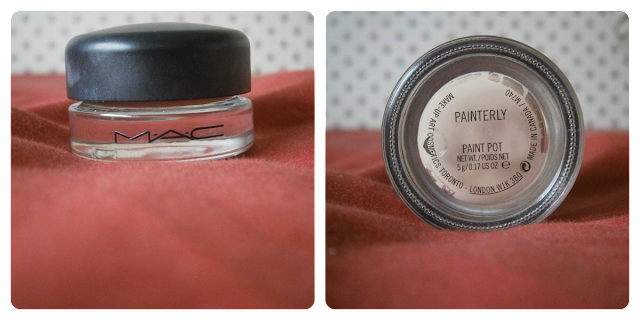 I personally like MAC paint pots as they last ages and you can wear them on there own for a touch of colour! Soap and glorys Clean on me is amazing. It smells amazing and the smell lasts ages. A little goes a long way with this. It has so much moisture in it so you don't really need a moisturiser afterwards because your body is already moisturised. So Lancome Hypnose STAR is amazing! Some people say they don't like it but personally I think it is a great formula, not to wet or to dry. It doesn't make your eyelashes spidery just thicker! At £21 it is very expensive but it lasts quite a while as you don't need to put as much on and I mean just look at the packaging how could you not resist!